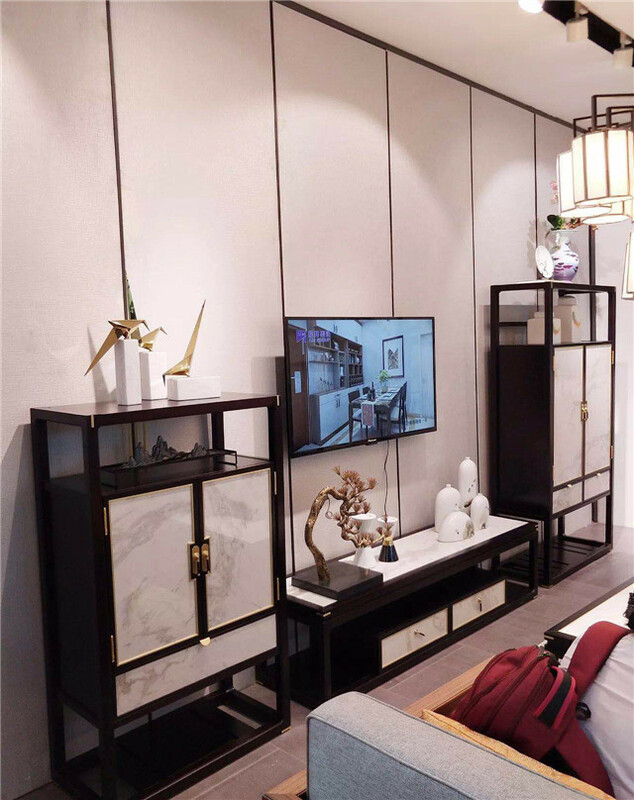 Chinese and Western style, is a fashionable interior decor home style at present, especially on (Guangzhou) CBD Fair On July this year, it was particularly eye-catching. 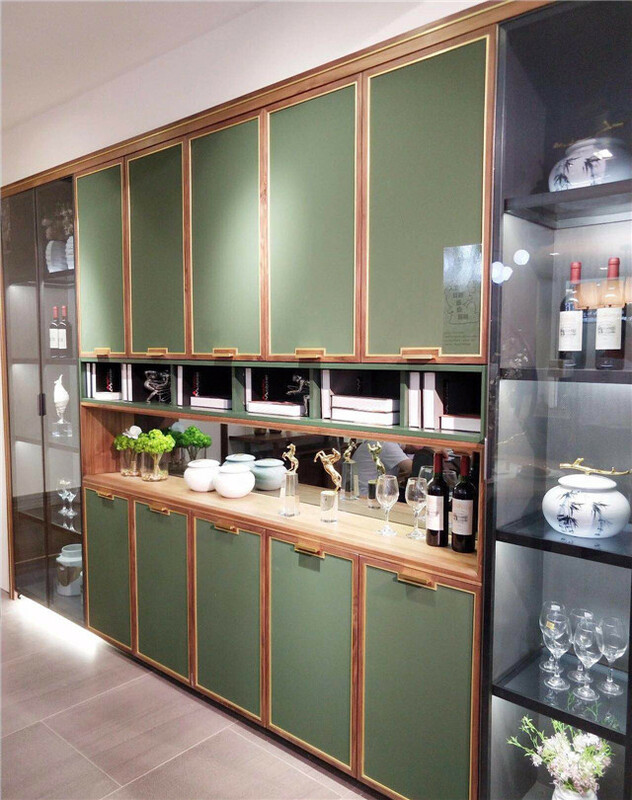 Chinese brand awareness and design awareness of interior decor home style has been strengthened gradually, Chinese profound traditional culture was widely applied in design concepts, more importantly, with enormous innovation energy, the Chinese elements was deeply loved by designers. As the consumer groups tend to younger and younger, Chinese consumer pursue individuality, luxury and texture object, have their own understanding to the Chinese traditional culture. The Chinese and Western style, with modernity and unique cultural attributes, capture the consumer’s mental straightforwardly. 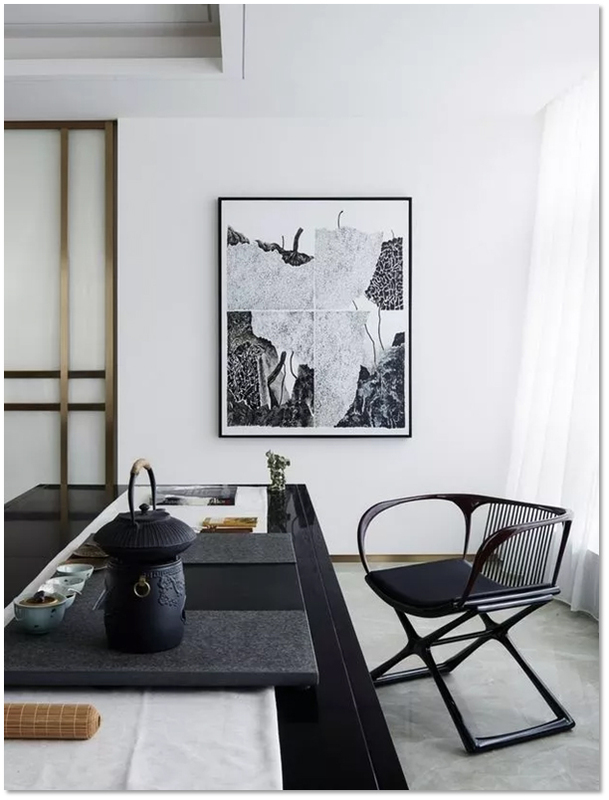 Chinese and Western style is light and bright, simple and not cumbersome, with obvious Chinese and western elements. 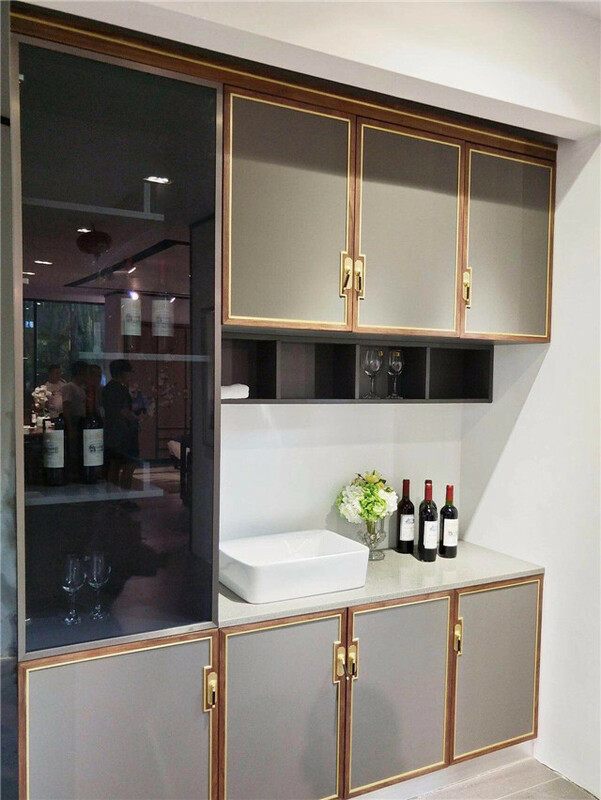 The Chinese and Western style also has innovations in material applications, not limited to wooden materials, and the application of stone can easily create a new Chinese home style with tactile impression. 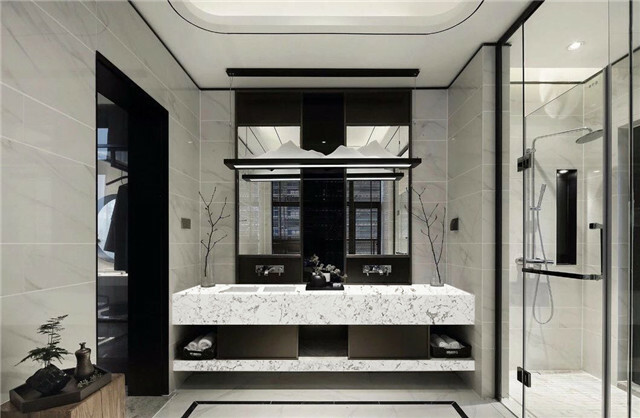 This year, the new Chinese style has changed a lot on the color applications, more colorful color was blended in, whether to match colorful series or achromatic series, black, white, gray and simple texture are ideally options of countertops. 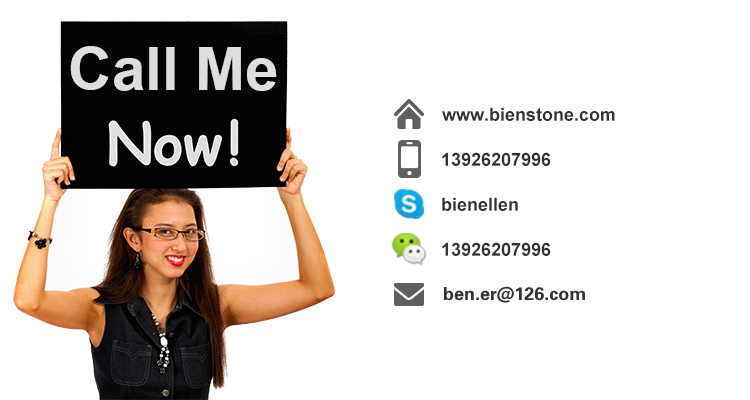 Quartz stone and artificial stone are the best options for customization of color, texture and surface texture. 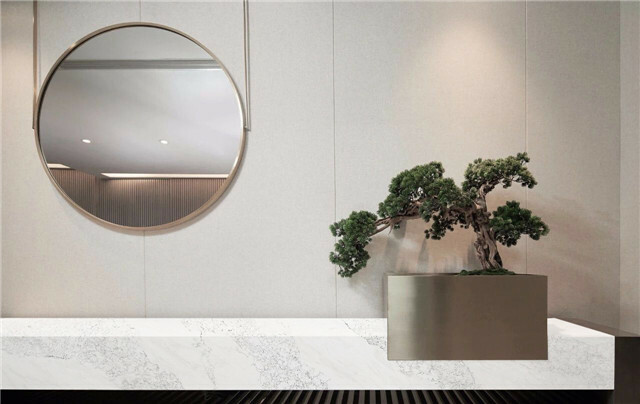 Light Luxury golden match with the smooth and stratified quartz countertops, and the embellishment of the cypress plants makes the space extremely filling with sense of depth and anciently. 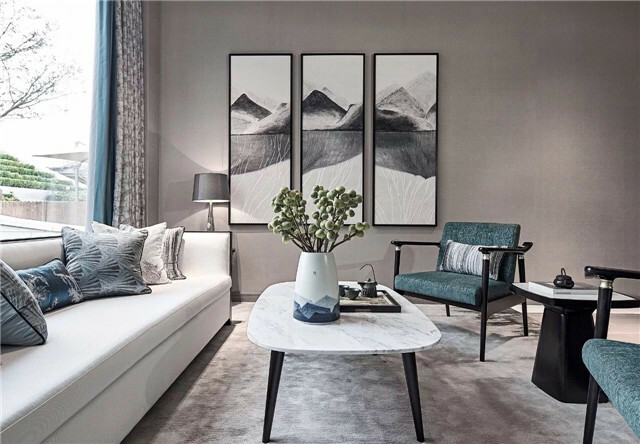 Chinese and Western style, living room is precious with the help of simplify something by cutting out the superfluous, matching with the natural texture quartz stone tea table, the main grain combined with the vice grain like mountains and rivers. The colors and textures are exquisite and delicate, can perfectly complement everywhere of the living room. 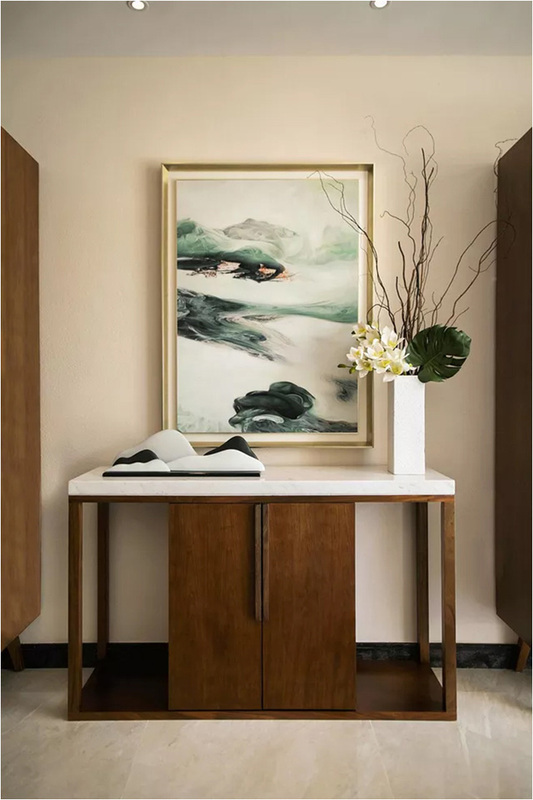 The brown wood texture match with the exquisite white quartz stone countertop makes it far from old-fashioned; the green leaves and green landscape painting make the space not only expressing the Chinese humanities, the elegance of the emotions, but also speaking out the natural flow and original long standing.